Castelldefels Castle is a frontier fortress in the town of Castelldefels, near Barcelona that was built to defend the frontier of the Carolingian Empire against neighbouring Muslim territories, particularly the Caliphate of Cordoba. The castle occupies a hilltop to the northeast of the modern town centre and the castle complex includes the castle keep, a church, associated outbuildings, and a cemetery, all contained within a curtain wall. 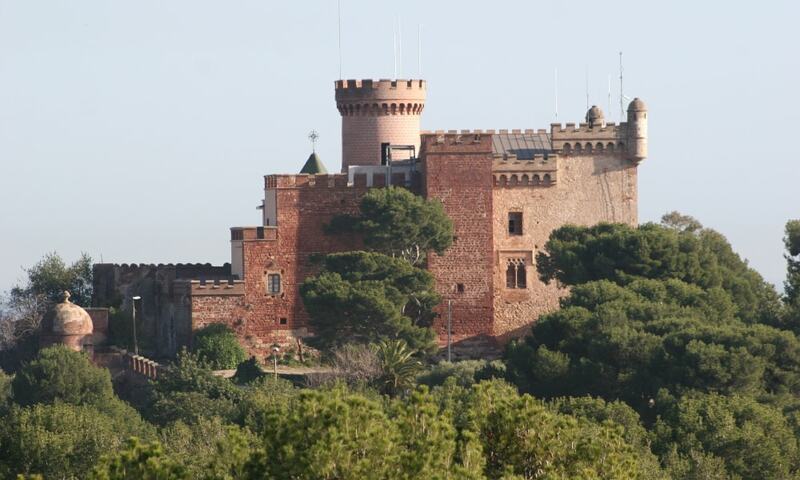 In the late 19th century, the castle was purchased by a wealthy Barcelonan banker, who refurbished it and added decorative crenellations throughout. The parish church was moved to its current location and the castle church was refurbished as a family chapel. The castle again achieved notoriety during the Spanish Civil War when the International Brigades used it as a disciplinary prison camp, with resulting executions and torture.